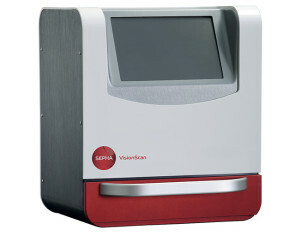 The Sepha VisionScan is a non-destructive, tool-less leak test device for pharmaceutical blister packaging. Using the latest camera imaging technology in combination with differential pressure, it can detect leaks in individual blister pockets as low as 7 micron (pack dependent). The machine offers pharmaceutical manufacturers a flexible, reliable, objective, deterministic and cost saving alternative to destructive blister pack test methods such as blue dye.